Washington has lots of places that you can pan for gold. There are rivers in every corner of the state with gold deposits. Here are 25 rivers in Washington with documented occurrences of placer gold. A short distance upstream on the Skagit River is the town of Lyman. A small amount of placer gold mining was done around Day Creek on the south side of the river from Lyman. Gold can be panned on the Sauk River. Around the town of Darrington, including Deer Creek and the area around Gold Mountain have gold. There have been some small historic gold diggings on both the North and South Fork Stillaguamish River over the years. The area around Gold Basin is worth exploring. A productive area for gold has been downstream of Spada Lake and on Williams Creek. Some historic mining took place at the mouth of the Sultan River where it enters into the Skykomish River at Sultan. There has been a sizable amount of placer mining done on the Skykomish River. Gold can be found throughout the river system, but one area that is known to be especially productive is around the town of Sultan. The towns of Galena and Mineral City is located a short distance up Silver Creek. Both Silver Creek and the North Fork Skykomish River have produced some gold over the years. Snoqualmie River has some gold, as well as many of its tributaries. Of particular interest are Denny Creek up near the ski area, as well as the Tolt River, Raging River, and Miller River. Placer gold can be panned from all these areas. There are very fine deposits of placer gold and also platinum that has been mined from the beach sands. One place that was fairly rich was at the mouth of the Ozette River. 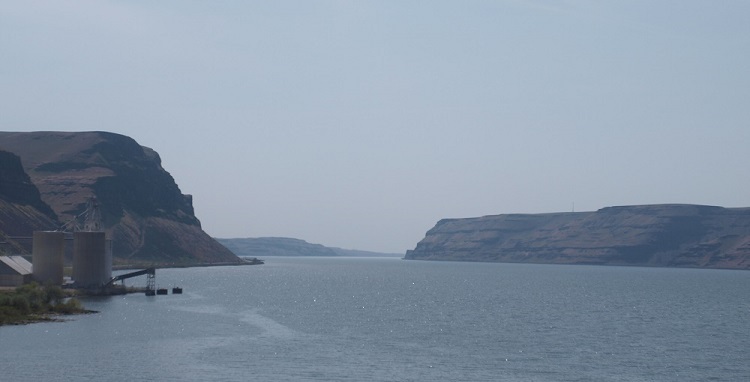 There has been a surprising amount of gold mined along the Columbia River over the years. Before the dams, there were many, many miners that used sluice boxes and rocker boxes to recover find gold from the gravels along the Columbia River. The river has changed a lot over the years and a lot of these old placer operations are now covered with water, but there is still gold to be found here. Southwestern Washington isn’t the richest part of the state, but one place where gold can be found is in the East Fork Lewis River. Most of the gold is fine textured, but every once in a while a little “picker” is also found here. Similar to the Columbia River, there are some very small amounts of gold in the Cowlitz River. Placer gold can be found all throughout the Wenatchee River. A good amount of placer mining has taken place around the town of Leavenworth on the Wenatchee River and Icicle Creek and Bridge Creek. Decent quantities can be recovered from this area in certain areas. The stretch of the river downstream of Leavenworth is best. Evidence of past mining can be seen around Leavenworth and Dryden. The Chiwawa River will produce some placer gold. One area that has seen some mining is near the mouth of Deep Creek. Most of the creeks around this area would be worthy of checking out with a gold pan too. The Entiat River flows from the high country of the Cascade Mountains and some gold can be found all throughout the river. Check the smaller creeks that feed into it too. There is gold all around this area. The Mad River also has some gold, and due to its remoteness it likely hasn’t been prospected very hard. Fine gold can be found throughout the Stehekin River. A few scattered copper and gold mines can be found all throughout this drainage from its headwaters to where it enters Lake Chelan. Fine gold can be found all throughout the Okanogan River from the British Columbia border down to its confluence with the Columbia River. The gold is very fine here so careful gold panning is needed to recover the gold. The Similkameen River that flows into the Okanogan River has also produced a decent amount of gold, including some sizable nuggets over the years. Using a metal detector might be a good way to find some of these gold nuggets. Very fine gold is present. Careful gold panning is needed. The gold is very fine textured here as well. The Sanpoil River contains gold from its confluence with the Columbia River up to its headwaters, with most of the mining activity in this area occurs around the town of Republic. The waters around Republic are especially rich, and the hard rock mines here are the richest in the state. The Kettle River originates in British Columbia and flows into the Columbia River. Where the Kettle River enters Washington, gold is found all around the town of Danville. Several lode prospects are scattered around the town as well. Although it is the lead, zinc, and silver deposits that have attracted the most attention to the area, the original mineral discovery in the area was the rich placer gold deposits found in the Pend Oreille River. Sullivan Creek, a tributary to the Pend Oreille River, has produced some very good gold, including some sizable nuggets. Gold is present all throughout the Yakima River, particularly around the tributaries of Cle Elum River and Swauk Creek. There are old placer diggings all throughout the Yakima River through this area. There are some very rich placers that can be found in Cle Elum River from its headwaters downstream to where it enters the Yakima River at the town of Cle Elum. Many of the drainages that flow into the Cle Elum River are also gold bearing, including Silver Creek, Fortune Creek, and Big Salmon Creek. This is near the famous gold mining town of Liberty, which has produced some huge gold nuggets over the years. There has been historic mining all along the Snake River. These gold deposits are similar to those found along the Columbia River. They are widespread, but the gold is extremely fine. The most successful prospectors working along the Snake and Columbia Rivers use a Gold Cube or other specialized fine gold recovery tool. Next: Rockhounding in Washington State – Jade, Agates, Quartz and More!